Qita Temple, a site of sacred importance, is the ideal place to discover the local culture and religion. 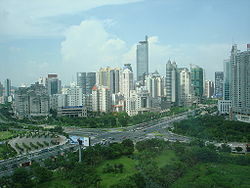 It is in Ningbo, 100 miles (161 kilometers) outside of the popular city of Shanghai. There's a huge selection of hotel options within a quick commute of Qita Temple.